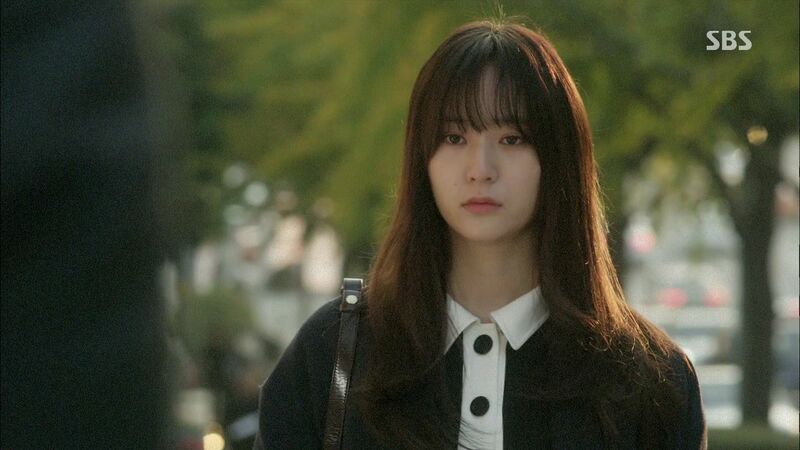 Going into today’s double episode airing of My Lovely Girl, I sullenly clicked play with reluctance to watch and feeling undecided about posting separate recaps for each episode or combining them as one. After watching both episodes, I decided separate recaps is better because I no longer had the urge to get it over with like doing a dull chore. 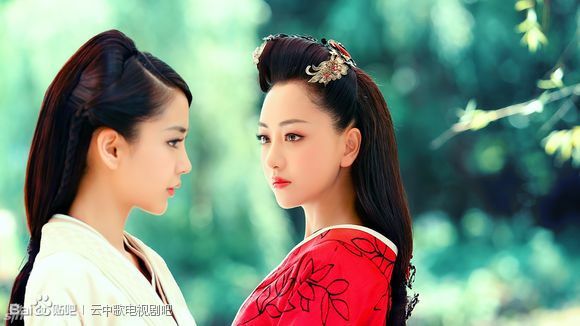 At end of episode 14 the entire drama resurrected a tiny bit for me, nothing to elevate it to a work of quality but it gave me back some much needed heart. 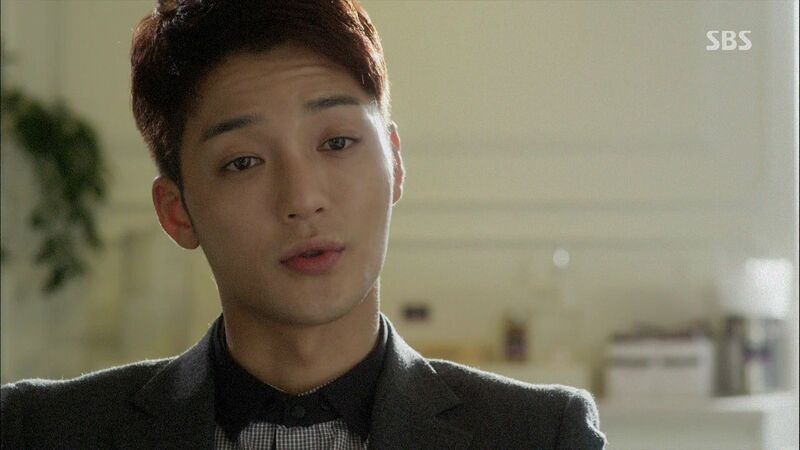 The sweet mellowness which initially attracted me to the drama is back and it’s all thanks to the MVP of the drama Dal Bong who is also this episode’s most pivotal character. The consistently lovely element of MLG has been the way Dal Bong was integrated into Hyun Wook’s world, and then later Se Na’s life. His presence was the simplicity by way of unbridled affection and nonjudgmental companionship. 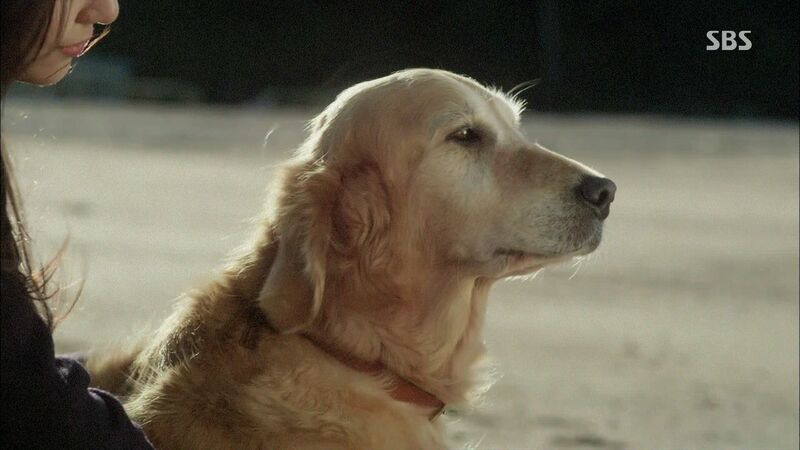 If this screenwriter made MLG the love between Hyun Wook and his dog Dal Bong it might’ve worked better because the writing is all there to milk this as a Korean Marley and Me. Se Na asks Hyun Wook to stop being so concerned about her since it just makes it harder for her to move on from him. 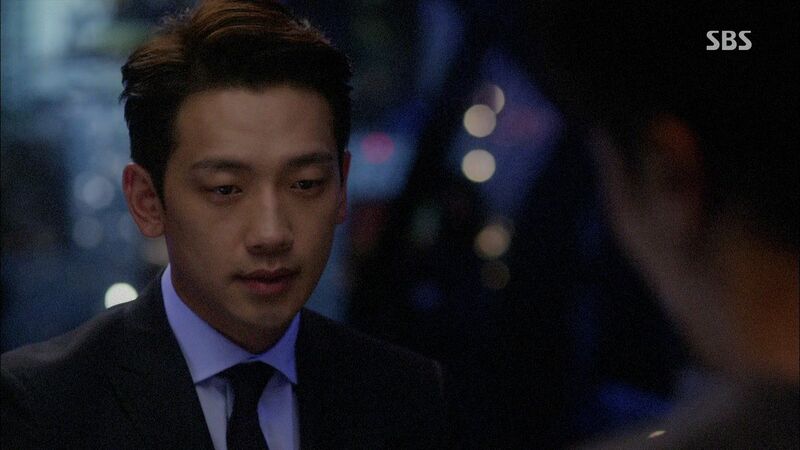 Shi Woo witnesses this exchange and steps in to take Se Na’s hand and asks Hyun Wook to let go now. Shi Woo pulls Se Na off behind him and offers to drive her somewhere else to help her regain her songwriting inspiration. 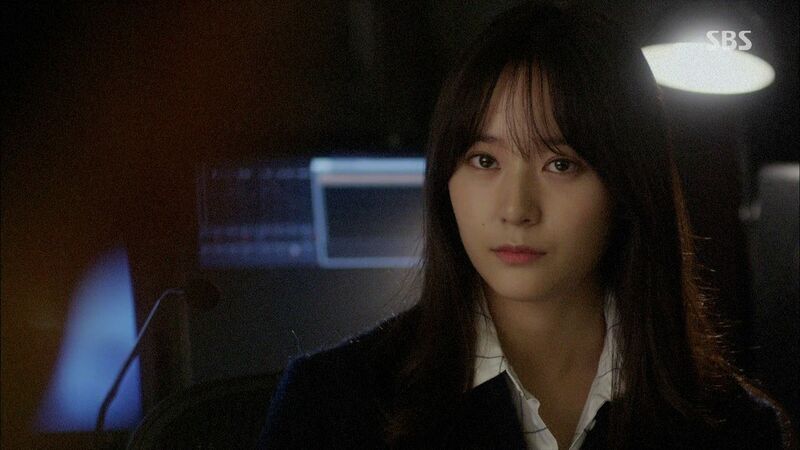 Shi Woo takes Se Na to watch a comedy flick but she’s a poker face during the entire movie. Afterwards Se Na tries to claim the movie was fun and she enjoyed it but Shi Woo knows her mind was on something else. He figures it’s about Hyun Wook and he’s willing to help her get over him. Se Na insists Shi Woo can’t help but assures him that she’ll deal with it herself. Hyun Wook is out shooting pool with Sang Jin and asks his advice on what the younger kids at the agency are thinking nowadays. He brings up Shi Woo and doesn’t want Sang Jin’s view on Shi Woo’s singing ability but about him as a person. Sang Jin sees Shi Woo as someone who thinks a lot and keeps it inside but is ultimately a good kid. Sang Jin can tell Hyun Wook is concerned about Shi Woo’s interest in Se Na moreso than his potential as the future breadwinner of the agency. 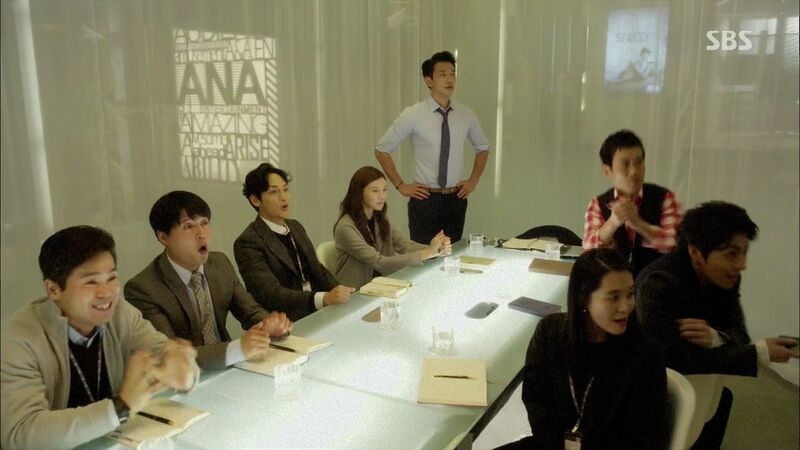 The AnA management team meet to discuss the progress on Shi Woo’s new album and swapping out Se Na since she’s dragging her feet on writing any new songs lately. Hyun Wook asks the team to be patient with Se Na rather than constantly changing songwriters and Hae Yoon backs him on this decision. Director Kang grumbles that it’s faster for Hyun Wook to write the songs himself. Hyun Wook assures Shi Woo that the agency will give Se Na time to write the songs. Shi Woo is certain she’ll produce it and tells Hyun Wook not to worry about Se Na as he’ll take care of her. Hyun Wook suggests that Se Na needs inspiration and right now the person should be Shi Woo since he’s the one beside her. Shi Woo asks Hyun Wook for advice on what he should do? Shi Woo pulls Se Na out from the recording studio to take her on a walk by the Han River claiming that he felt she needs to come here to clear her mind. Se Na confesses she used to come here often when she was stressed during the early days when she came to Seoul and life was difficult. Shi Woo asks her to think happy thoughts when she comes here from now on since she’s doing well now but the future clearly will be filled with more obstacles. Se Na remembers the last time she was at the Han River when Hyun Wook hugged her after telling her that her song wasn’t going to be used. Shi Woo brings Se Na a drink and reminds her again that she’s to remember happy moments when she comes to the Han River. The Han River walk clearly helped as Se Na and Shi Woo dive back into songwriting together. Hyun Wook pauses outside the recording studio to stare at them and Hae Yoon walks up asking if Hyun Wook is fine with those two spending so much time together. Hyun Wook claims he’s fine with it. Hyun Wook and Hae Yoon watch their girl group perform. He offers some choreography advice before telling the ladies to prepare for their upcoming showcase and handing the preparation off to Hae Yoon. Director Kang goes for a walk with Hyun Wook’s stepmother and she thanks him for spending time with her so she’s not cooped up at home. He plucks a falling maple leaf and uses it to shield the sun for her as they happily walk off. Hyun Wook’s dad is angrily having dinner alone and grumbling about where his wife is. She comes home and gets yelled at by him but she yells right back. 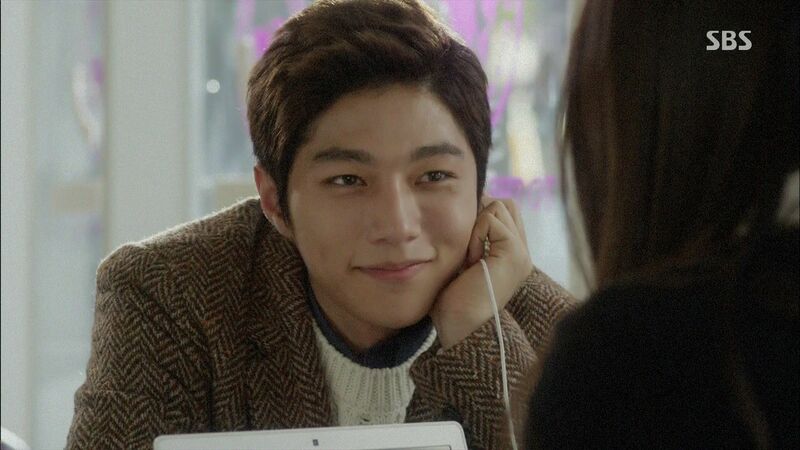 Se Na and Shi Woo are listening to demo tracks at the coffee shop but he’s got only eyes for her. Shi Woo teases that she got her inspiration back because of him. Jae Young walks up with another director at AnA who is interested in moving over. Jae Young sits down and snarks that he doesn’t know how long Shi Woo and Se Na will keep working at AnA. He also doesn’t know why Hyun Wook keeps Se Na around after what he did to her unni. 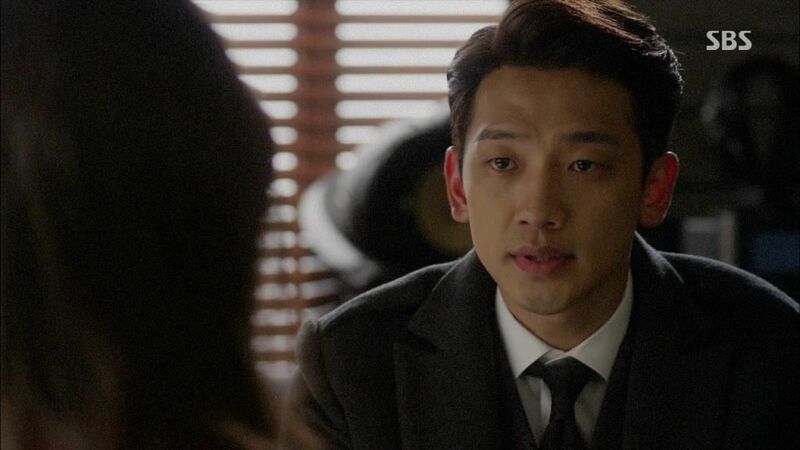 He goes further and claims that So Eun wouldn’t have died if not for the scandal that Hyun Wook hooked up with a trainee. Se Na doesn’t take the bait and demands that her unni’s name not pass through Jae Young’s lips again. Shi Woo follows Se Na out of the café and wants to know if there was something between Se Na’s unni and Hyun Wook? Se Na asks that Shi Woo not probe because this is her private life and personal matter. After Se Na walks off, Shi Woo goes back inside the café. Se Na runs into Hyun Wook outside the agency and pauses for a moment but doesn’t ask Hyun Wook anything related to her unni. Later that night Se Na sits with Joo Hong who thinks it’s better for Se Na not to probe further about what went on between Hyun Wook and So Eun since it’ll just make it harder on her. Hyun Wook sits in the recording studio with Se Na and the sound engineer to listen to the tracks she composed for Shi Woo. The sound engineer is so impressed that he urges Hyun Wook to quickly sign Se Na to the agency permanently. Hyun Wook is willing for Se Na to name her price to sign with the agency but she’s not interested and reveals this is her last project here. Hyun Wook pulls Se Na aside to ask why she’s not interested in working here and continuing her collaboration with Shi Woo. Se Na brings up all the unanswered questions she has about what happened between Hyun Wook and So Eun? He must have loved her to later take care of Se Na, so why didn’t he come to her funeral? Is he the reason that her unni died like other people have told her? Hyun Wook accepts the blame so Se Na explains that she cannot be around Hyun Wook after falling for him when knowing that her unni died in such pain because of him. After she’s done with Shi Woo’s album she’ll leave. Shi Woo finds Se Na brooding in the practice room and remembers going back to find out from Jae Young what all the past history is about. Now he knows why Se Na is so down all the time. 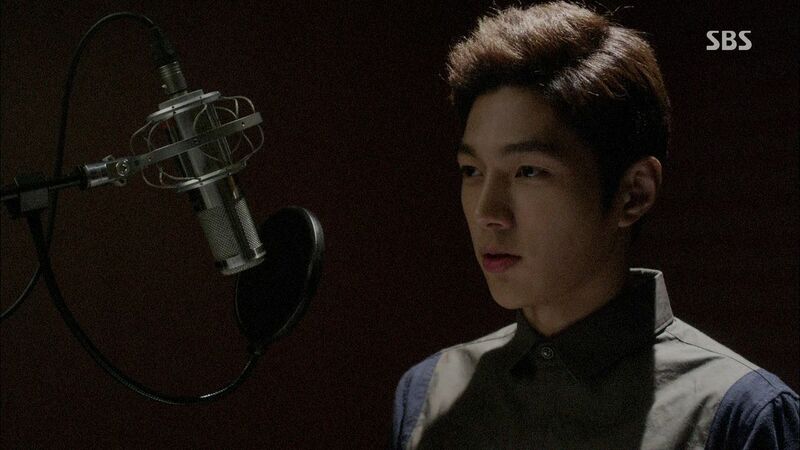 He goes inside the practice room and hears that Hyun Wook is pleased with their progress. He wants Se Na to agree to do something for him if he wins number 1 with this comeback album and Se Na agrees. Se Na accompanies Shi Woo to record the new songs and asks him to sing with his sincere heart. Shi Woo sasses back that he always does that when he sings. Shi Woo is basically singing all his songs to Se Na in the recording booth while Hyun Wook comes in and stares sadly from the sidelines. Shi Woo’s new leading single hits number 1 on all the charts and the critics are lavishing praise on his maturity with this new song style. 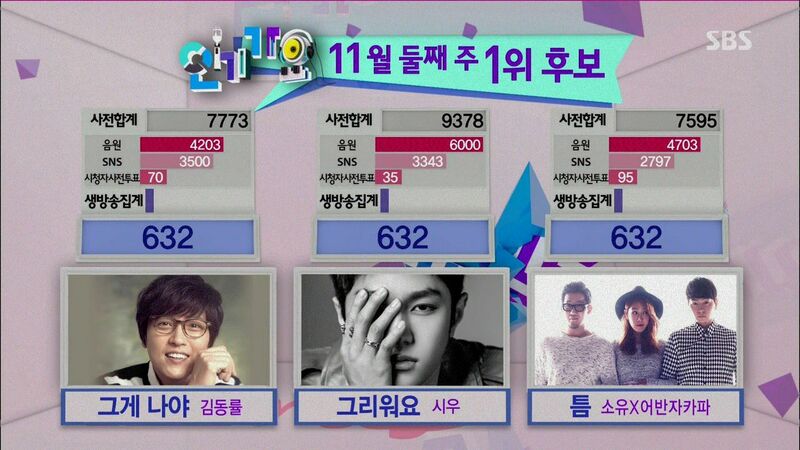 The agency management team watch the live vote and congratulate each other on him winning yet another vote. The team discuss how the agency will be back on its feet after the album sales and concerts are factored in. Not only that, Se Na is such a talent that AnA has to sign her permanently. Hyun Wook explains that this is Se Na’s last songwriting project with the agency and she’s leaving after this. Shi Woo finds Se Na at the network and pulls her aside to give his flowers to her. He then brings up the one thing she promised to do for him which he wants to be their collaboration to extend beyond this to his next albums. Se Na reveals that she’s planning to leave AnA after this. Shi Woo knows it’s about her reluctance to be around Hyun Wook and wonders if she’s fine never seeing Shi Woo again over this. Se Na insists they can still see each other occasionally even if they don’t work on an album together. That’s disheartening to Shi Woo to hear that she’s okay seeing him infrequently. Se Na sincerely thanks him for giving her this chance already. Shi Woo is called off for the next program recording and can’t continue this conversation with Se Na. 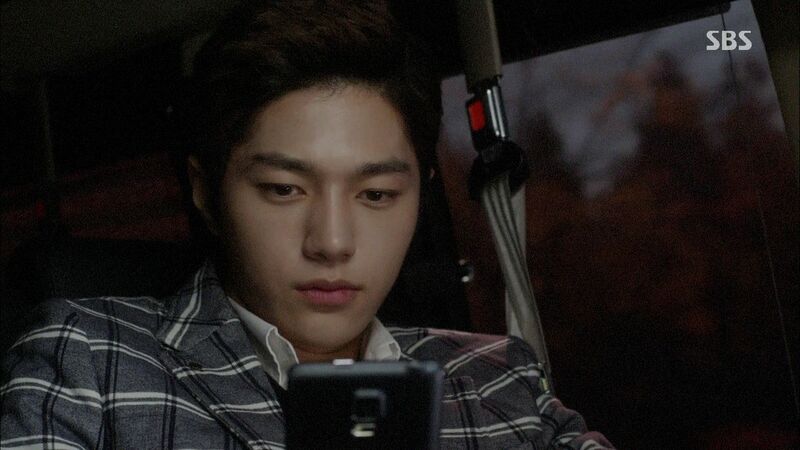 Hyun Wook drives home and remembers all his previous interactions with Se Na and gets all broody again. Shi Woo is a guest on a radio program and the host brings up how Shi Woo’s new songs have this really heartfelt emotion. 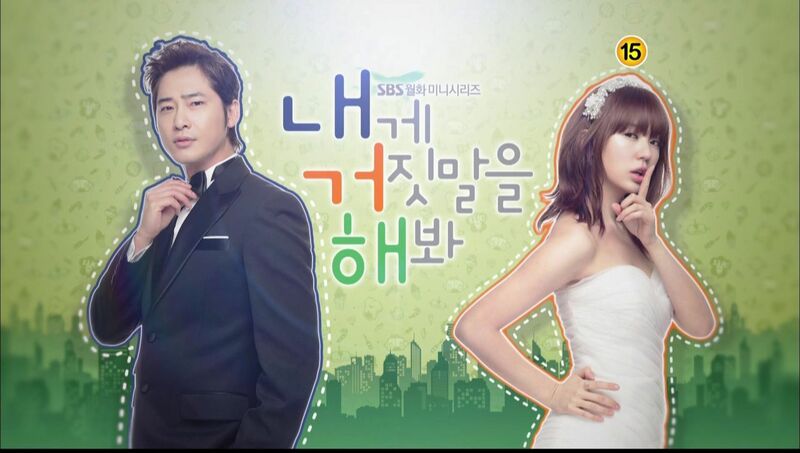 Since Shi Woo is the ladies vote for ideal man, what is his ideal woman? Shi Woo’s ideal is someone who is good at songwriting and playing the piano, who is very persistent and never gives up, and who is pretty with her hair up or down. The host points out that Shi Woo’s description is very specific so he must like someone now? Shi Woo admits he likes her but it’s one-sided. 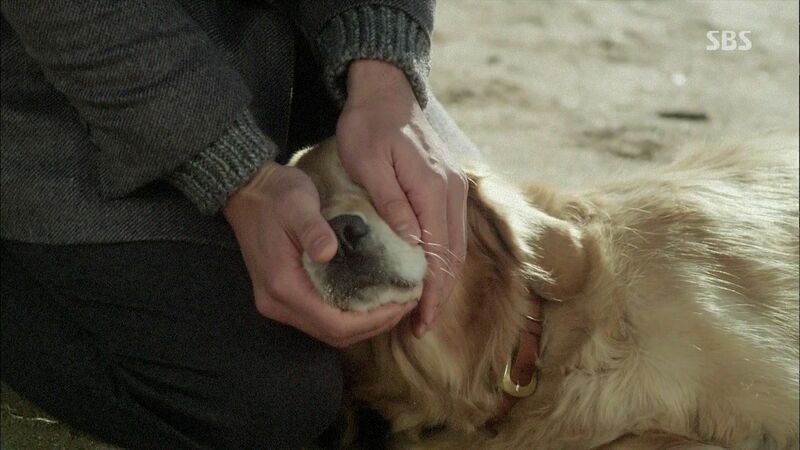 The explosive admission causes waves to ripple and Shi Woo’s crush becomes the number one search term on the internet. 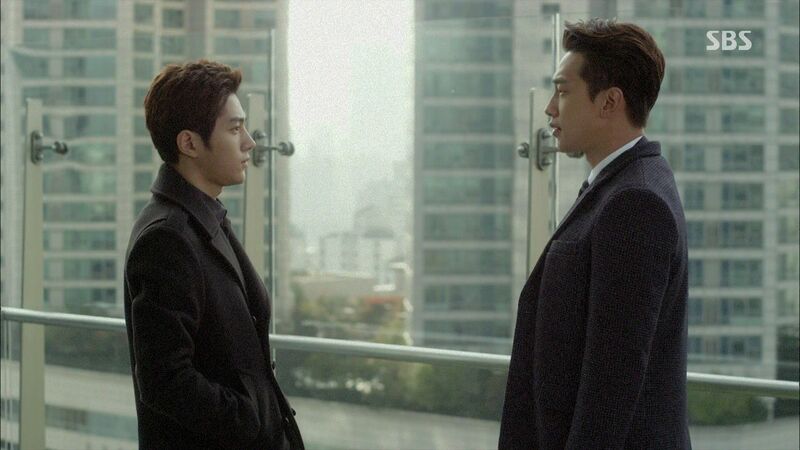 Director Kang rushes to tell Hyun Wook about this impending scandal. Shi Woo’s manager chides him for dropping this bombshell right after winning number 1 and tells him that Se Na’s identity has been sussed out after the picture from the hospital visit was released. 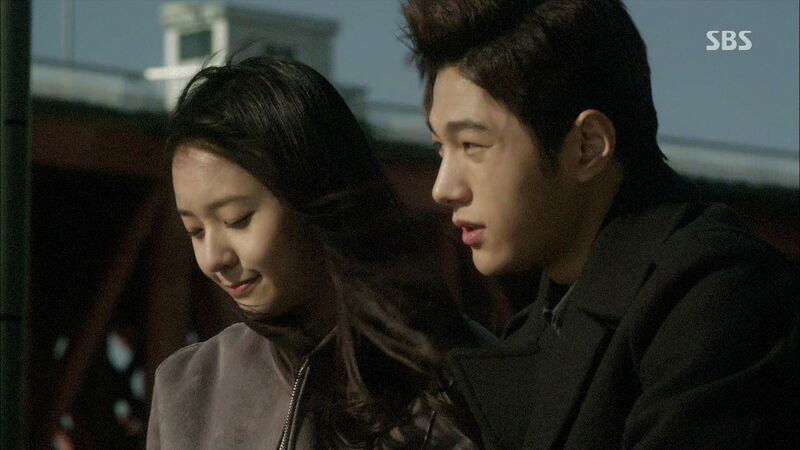 Shi Woo stops to see Se Na on his way back to the agency. She immediately lights into him for saying something like that on air. He worked so hard for his comeback and just had a major hit, why risk it all right now? Shi Woo apologizes since he didn’t think it would blow up so big but he had a reason for doing it. 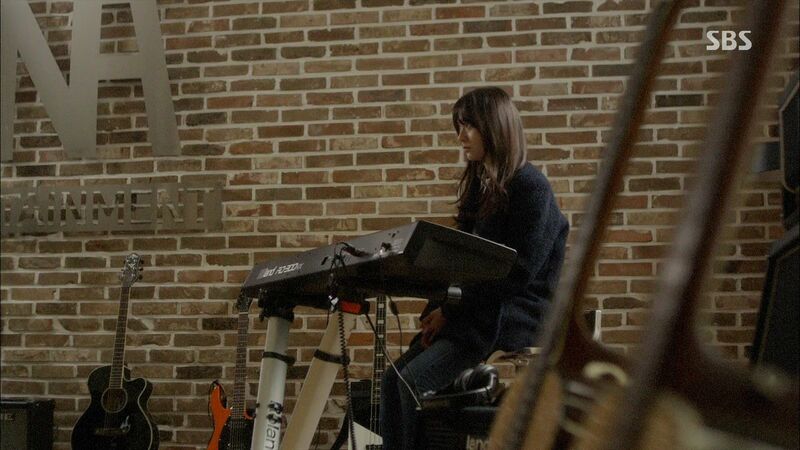 Shi Woo openly tells Se Na that he likes her and knows that she wrote the song “Thinking of You” for Hyun Wook. Yet Shi Woo has to sing that song knowing why Se Na is thinking about when she wrote it. He likes her and wants her to not think of another man so there is nothing he can do other than come clean about his feelings for her. This is the first time he’s ever regretted being a celebrity but he doesn’t regret what he said on air. What he said on the radio is his real sincere feelings. 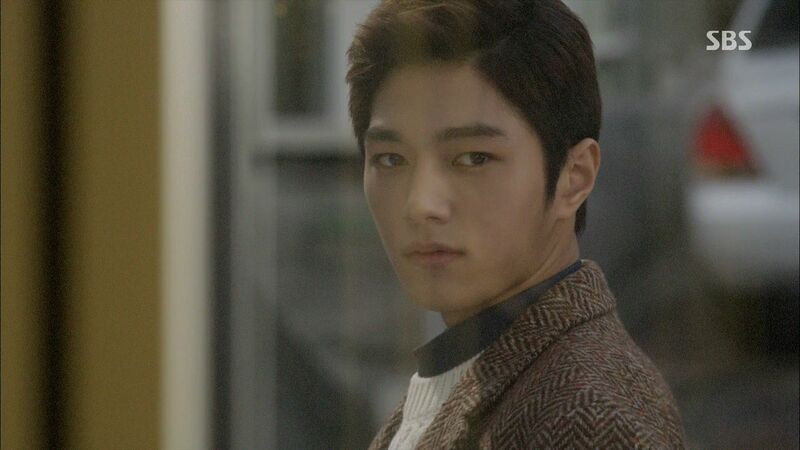 Shi Woo gets back in the van and drives off while leaving Se Na sadly brooding on the street. 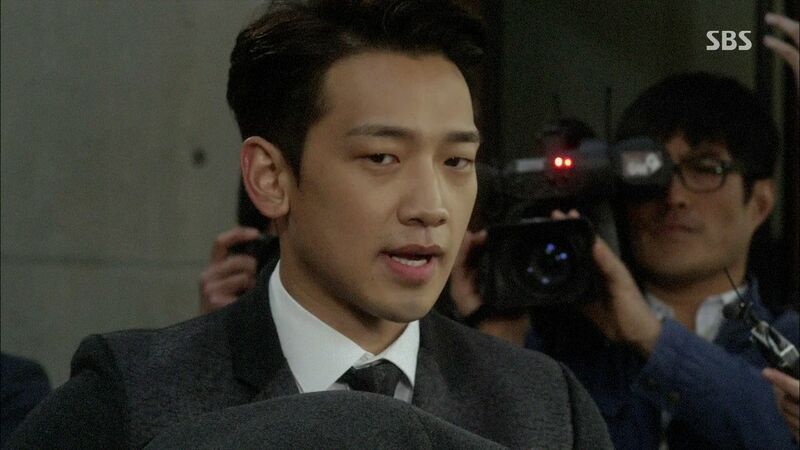 Shi Woo returns to the agency and immediately gets chewed out by Director Kang and Hae Yoon for the stunt he pulled. Director Kang knows they need to immediately have an official response. 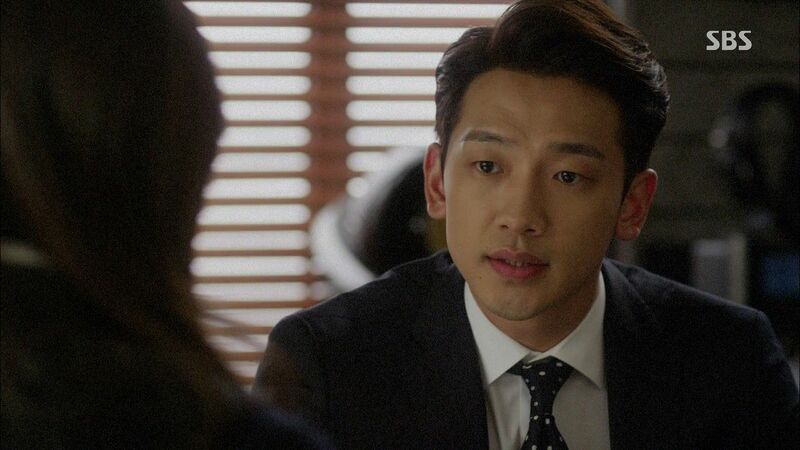 Shi Woo wants to all the work done to minimize the blowback on Se Na but he doesn’t apologize for liking her. He’s not dating her but liking her is the truth. Hyun Wook is not upset with Shi Woo and asks the other two directors to calm down. Se Na sits with Joo Hong and her boyfriend to discuss the latest bombshell. Joo Hong tells Se Na not to see it as a bad thing since she’s done with the doggie flower boy. The boyfriend is impressed that Se Na is juggling a CEO on one hand and a top idol on the other. 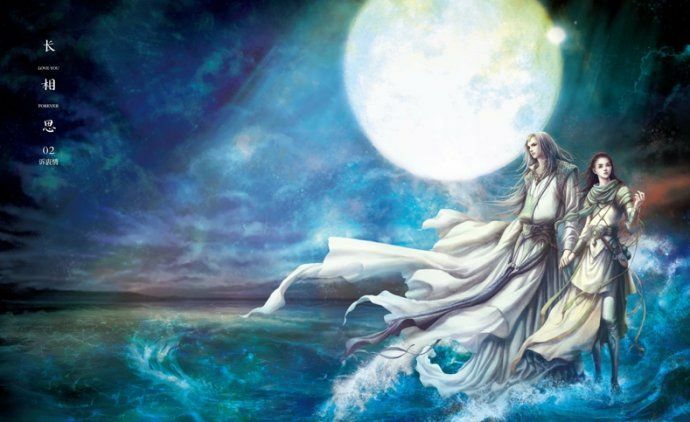 He’s surfing the new internal retail portals for ideas to open one himself and happens to see that Shi Woo’s new CD has dropped early and is selling well. Hae Yoon goes drinking with Hyun Wook and reveals that her idea for containing the damage to explain that Shi Woo and Se Na are in the early stages of dating. Hyun Wook is fine with it and Hae Yoon confirms that he’s not going to try to hold onto Se Na? Hyun Wook won’t because he has no right, he’s just a terrible guy. Hyun Wook calls Se Na in to explain the agency’s plan to admit that Se Na and Shi Woo are dating now and about a month later the agency can reveal they broke up. He apologizes in asking her to go along with this for the month. Se Na wants to know what Hyun Wook thinks? Does he want her to do this for the agency? 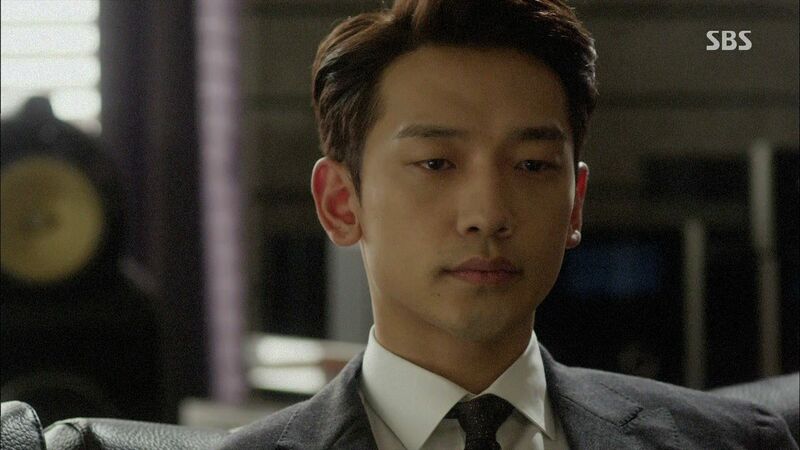 He actually thinks Shi Woo is a good guy and they are a good fit for each other. 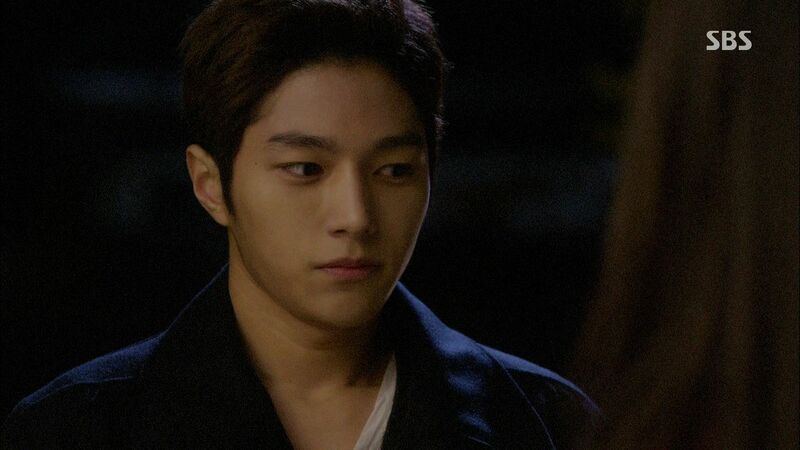 He suggest she consider Shi Woo’s confession genuinely. Se Na leaves Hyun Wook’s office to consider the suggestion but is immediately surrounded by reporters outside. Hyun Wook follows her outside and goes to protect Se Na by wrapping her under his coat. He addresses the reporters as the president of AnA and asks that Se Na be given privacy since she’s not an entertainer and threatens to sue to protect her. Hyun Wook takes Se Na aside to make sure she’s alright before driving her home. He leaves her a final reminder to be careful for now when she’s in public. Hyun Wook also asks if Se Na can handle the burden of Shi Woo’s confession? If not then she should tell him and let it all go. Se Na claims she’s fine before getting out of his car. Joo Hong wants to ask what Se Na plans to do now? Does she want to date Shi Woo? Is she over Hyun Wook? Se Na reveals she needs to move away from here otherwise she can’t get over Hyun Wook. Joo Hong’s boyfriend wants a celebratory dinner for Se Na dating Shi Woo and having his new album hit number one. 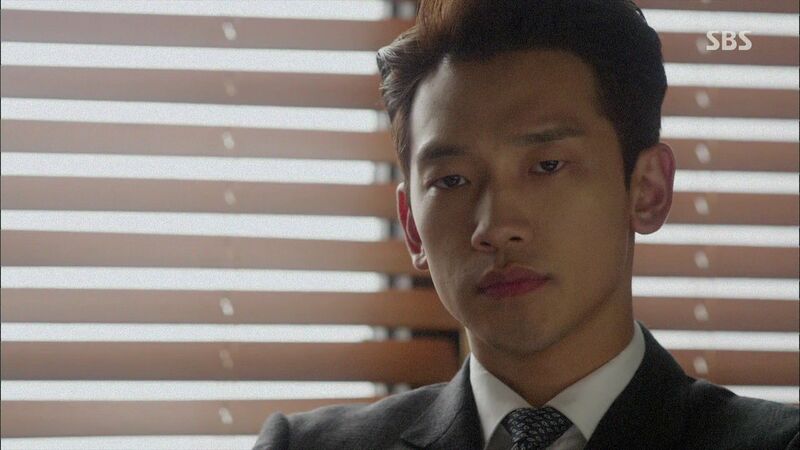 Shi Woo hears from his manager about what the agency plans to release to the press about his relationship with Se Na. He heads out to talk with Se Na that their dating news will hit the wires tomorrow and she solemnly confirms she already knows. 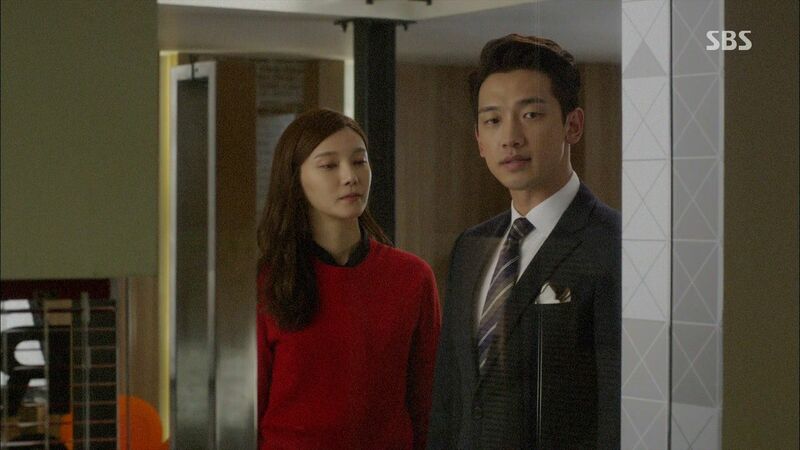 Shi Woo wonders if she dislikes him that much? Se Na doesn’t dislike Shi Woo and actually likes working with him. And contrary to what he believes, she wrong his new songs because of him so she doesn’t want him to feel sad whenever he sings it. 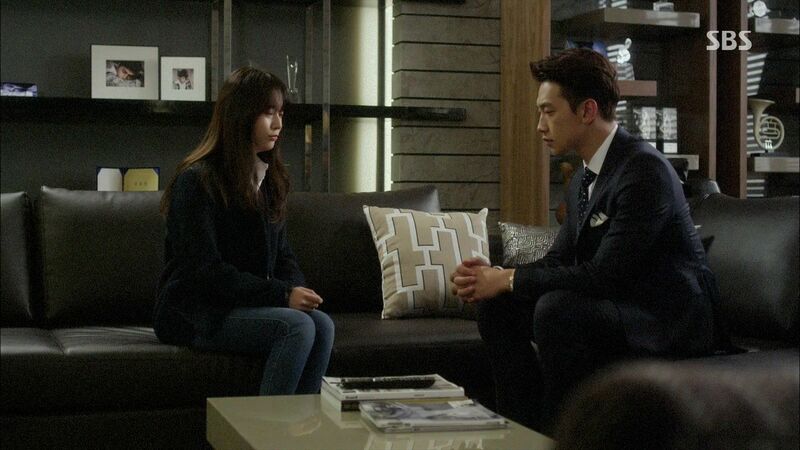 Shi Woo asks if she’ll forgive him if he accepts her apology now. Shi Woo puts a ring box present in Se Na’s hand and asks her to take the next month to consider his confession for real. After that she can decide what she wants to do when the month is up. Sang Jin sits with Hyun Wook to ask why Se Na is dating Shi Woo in public and why Hyun Wook doesn’t seem upset about it? Hyun Wook is fine with it and is willing to support the couple if they like each other. Sang Jin wants Hyun Wook to be honest about his feelings but Hyun Wook doesn’t believe he has the right since he didn’t have the right to like Se Na in the first place. Sang Jin urges Hyun Wook not to feel guilty since it was a misunderstanding and a car accident. Hyun Wook accepts the blame since the misunderstanding was caused by him which led to the accident. Se Na starts looking online for a place to move to and Joo Hong’s boyfriend wonders why such the fuss and whether she’ll really move away this time. Sang Jin calls Se Na out to meet and reveals he saw the news about her dating Shi Woo. That’s a surprise since Sang Jin thought Se Na liked Hyun Wook. 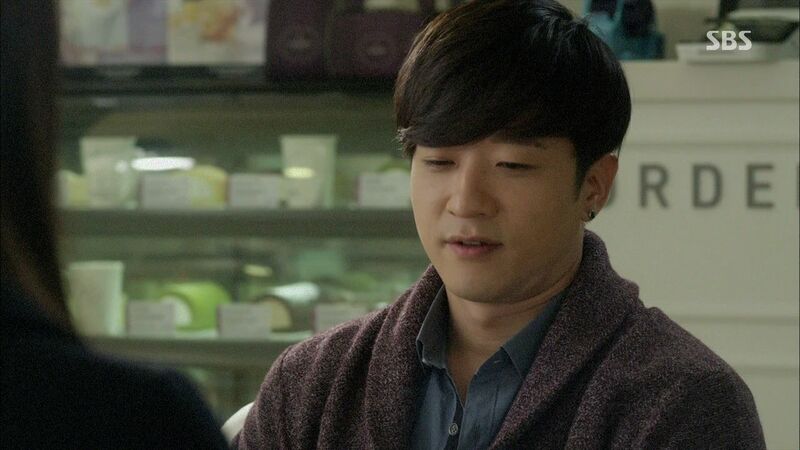 Sang Jin has been friends with Hyun Wook for a long time and knew all about his relationship with So Eun. Even knowing all that Sang Jin had hoped Hyun Wook and Se Na could have made it work. Se Na asks whether Hyun Wook cheated on So Eun and that’s why he didn’t go to the funeral? Sang Jin says Hyun Wook didn’t cheat and he went to the funeral with Sang Jin but Se Na and So Eun’s mom wouldn’t let Hyun Wook inside. Se Na’s mom knew deep down inside it was an accident but needed someone to blame so she took it out on Hyun Wook who silently accepted her anger. Hyun Wook is cooking dinner when he hears a potted plant smash on the ground caused by Dal Bong. Then Dal Bong goes to gnaw on the blanket before going to the door to ask to go outside. Hyun Wook opens the front door but Dal Bong runs out the courtyard into the neighborhood. Hyun Wook chases after Dal Bong though the neighborhood but he’s managed to find Se Na first before collapsing. Se Na takes Dal Bong to the vet and calls Hyun Wook there. They stand watch over a sedated Dal Bong and Se Na finally asks if her unni liked Dal Bong a lot, too? Now Se Na knows why Dal Bong liked her at first sight. The vet gives them the bad news that Dal Bong is at the end of his days and should be taken home where he is in familiar surroundings. 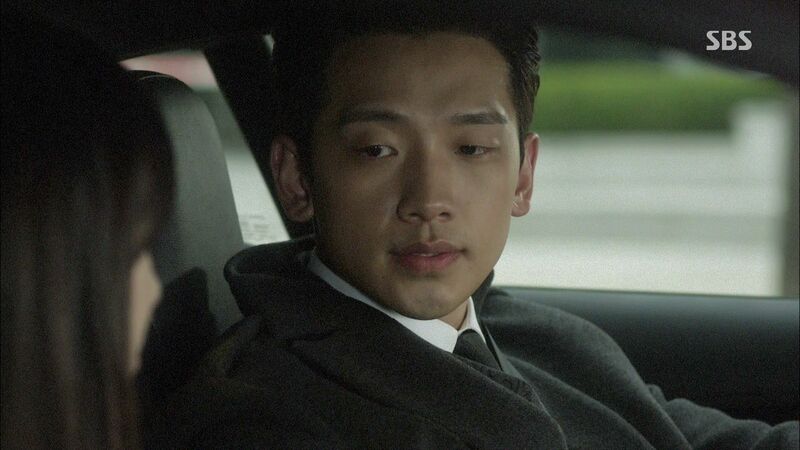 Hyun Wook drives Dal Bong home with Se Na taking care of him in the backseat. 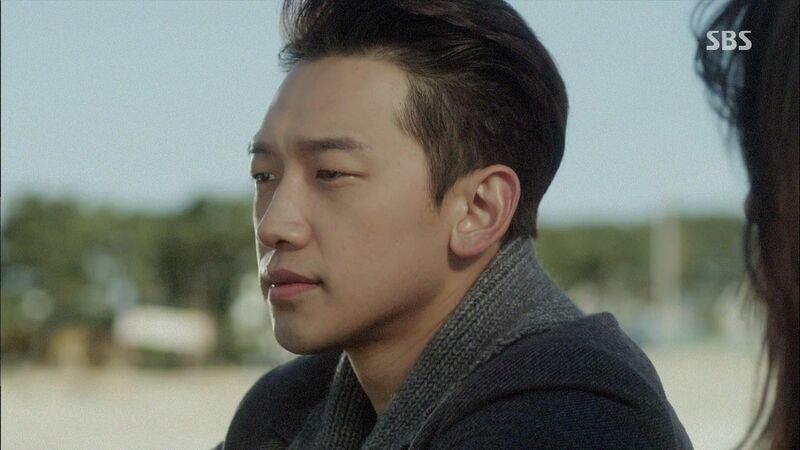 Se Na suggests they go straight to the beach rather than go home since Dal Bong doesn’t have much time left and should go a place he loves the most. 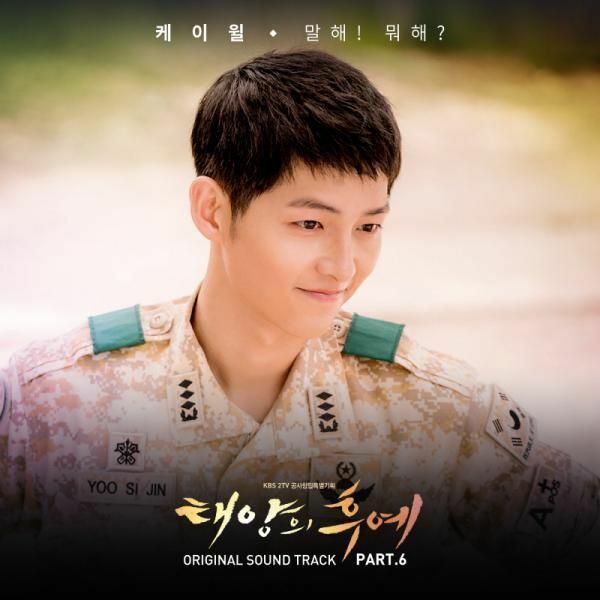 Hyun Wook and Se Na walk behind Dal Bong as he sprints right to the edge of the beach and stands there staring out at the waves. 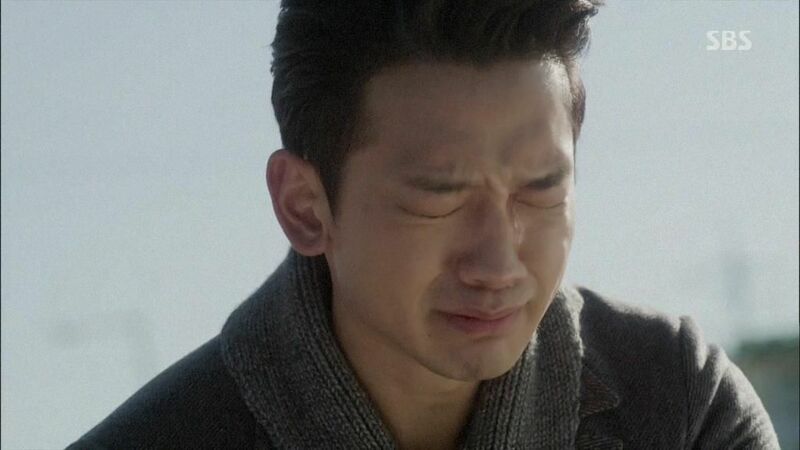 Se Na walks up to stroke his back while Hyun Wook stands there and holds back his tears. 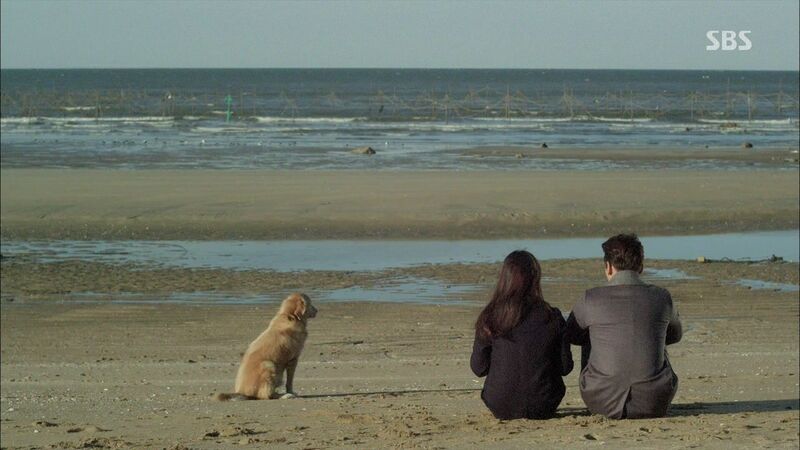 Se Na and Hyun Wook sit down while Dal Bong continues to stare at the ocean. Hyun Wook reveals that So Eun was the one who brought Dal Bong to the beach for the first time and afterwards he always went wherever they went. 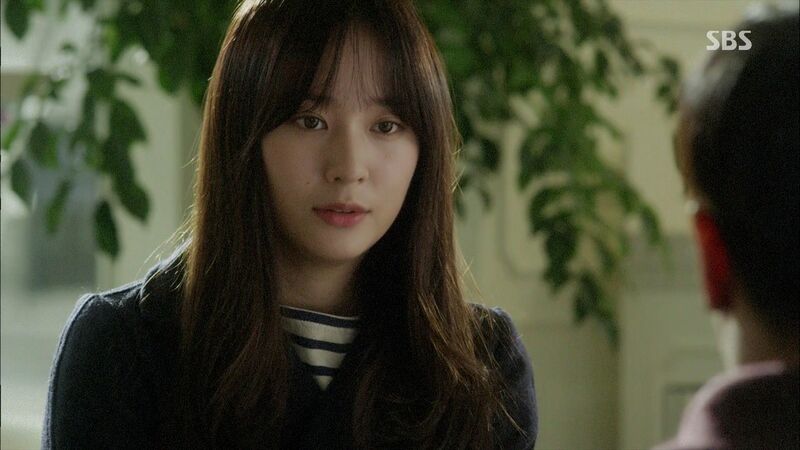 Se Na wants to know why Hyun Wook let her misunderstand the way things ended with So Eun and let her hate him. Hyun Wook blames himself for what happened with So Eun, after she died he lost his ability to write songs and sometimes couldn’t even hear music. He accepted it all as his punishment. But after meeting Se Na he tried to lessen his guilt by helping her so she has a right to hate him. Se Na sighs that she can let it all go now after openly discussing it. Dal Bong suddenly lays down slowly on the sand and Hyun Wook senses something has happened. He walks over to Dal Bong and cradles his deceased head in his hands as the tears come fast and hard for the passing of his best friend during the best and worst times of his life. 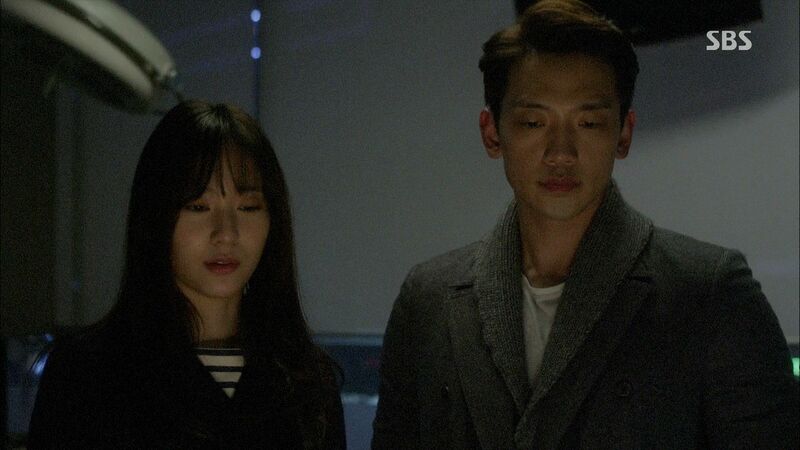 Se Na stands behind Hyun Wook and lets him grieve alone. 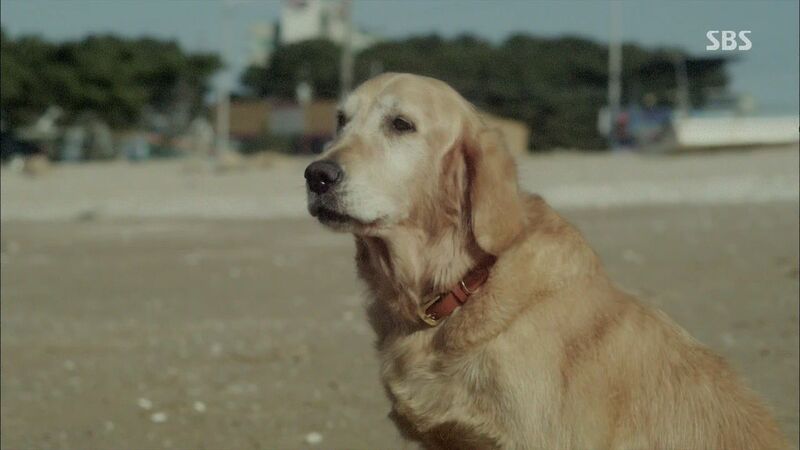 Hyun Wook walks into his now empty house and sits down on the doggie bed pillow before stroking the empty place where Dal Bong used to rest. Se Na sits at home staring at the picture of Hyun Wook and Dal Bong on her phone. Hyun Wook goes through his box of mementoes and puts away the puppy picture of Dal Bong. Hyun Wook goes outside to cry in the courtyard when Se Na arrives as Dal Bok again. Dal Bok is here to pass along word from Dal Bong who has met So Eun and is very happy now. Dal Bong is leaving with So Eun now and they want to tell Hyun Wook that he’s been sad for too long and it’s time for him to find happiness again. Se Na takes off the doggie head and sits down next to Hyun Wook to wipe his tears away and tell him to be happy from now on. Hyun Wook pulls Se Na in for a tight embrace and admits that he misses her so much and is barely able to hold on now. He doesn’t know what to do anymore. I’m so glad Hyun Wook and Se Na got back together at the end of this episode, thereby ending three episodes worth of pointless separation and finally moving the story over the largest stupidest hump in narrative history. I still couldn’t figure out if Se Na was upset Hyun Wook kept a secret from her, or stymied by him having dating So Eun before. Probably both, but not enough to actually make her stop loving him. Oh wells, it’s her heart and she can give it to whomever she wants to. All the breakthrough took was Se Na and Hyun Wook having a candid conversation, which sadly was spurred on as Dal Bong was dying. It’s so damn lame that they avoided talking through the pain due to whatever anger, guilt, and misunderstandings that stood between them. How hard is it to get some facts in the open before deciding how to feel about it? At least the drama remains so utterly placid it tempers my frustration, though sometimes it might be better for a blow up here and there between characters so information can be shared rather than bottled up inside. If I never again see Se Na or Hyun Wook brooding while missing each other, that would be a hallelujah praise the lord development. 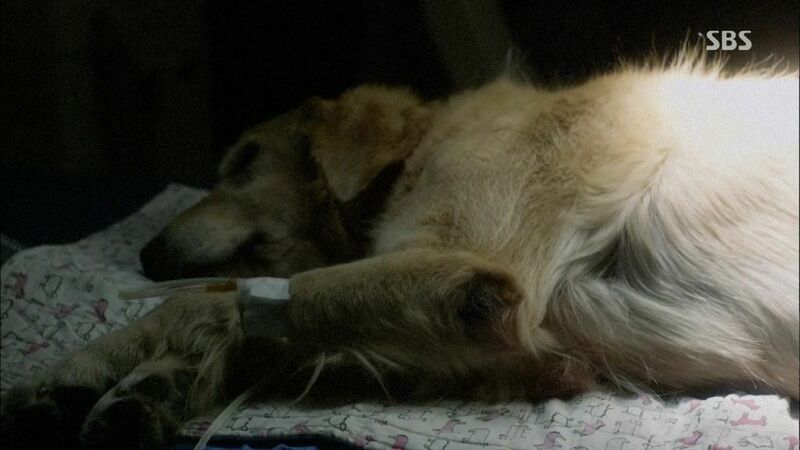 Shi Woo had tons of scenes in this episode and most were fantastic for his character development. His comeback album is a success, he keeps on being friends with Se Na while pursuing her in his own way, and he even takes all the initiative to talk through issues with her. The only moment he faltered was revealing his crush on her on the radio show, such a heart over mind moment that was both dangerous for his career and really inconsiderate for Se Na. 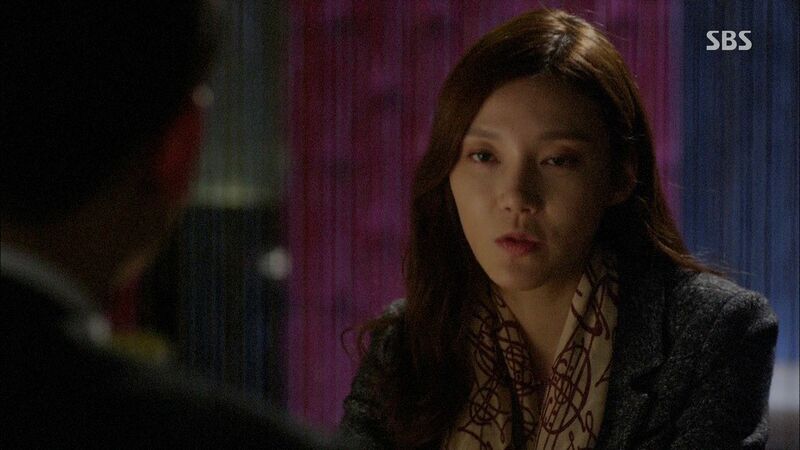 Public confessions are a no-no in my book, the same way Hyun Wook keeping important information from Se Na was a no-no. Public confessions places the person confessed to in a rock and hard place squeeze where there is pressure to accept otherwise risk embarrassing the confessor. I’ll let it slide because Shi Woo has been pretty levelheaded for the most part and ultimately it’s not a dealbreaker since Se Na is just coasting through for now with bigger problems hanging over her. If she has decided to get back with Hyun Wook then she needs to end Shi Woo’s one-sided hope once and for all, but otherwise she’s been a pretty decent person in how she’s behaved towards him. Now onward to see what remaining obstacles the drama has in store to fill 2 episodes more of screen time. Luckily this episode made me totally cry like a sap at the end and those genuine heartfelt tears was the stark realization that it wasn’t all a waste following MLG. Dal Bong surely makes it all worth it. Well, you said it ockoala unnie..Dal Bong surely makes it all worth it indeed. Thanks for the recap! Thanks for the recap. Thankfully, this drama is ending. HW and Sena have resolved their issues. Shiwoo will be finally move on. No more unnecessary drama. I am a fan of Shiwoo and Sena’s friendship but I like that they didn’t have OTP switch with the episodes left cause it will be pointless. 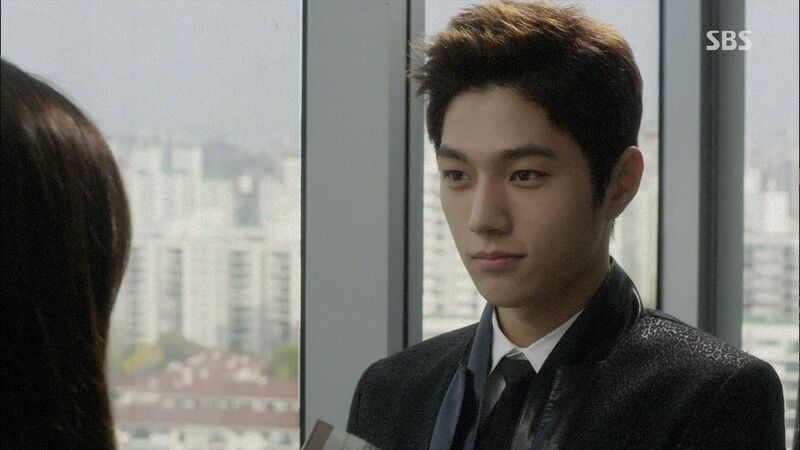 Lastly, Myungsoo can rest before infinite F debut. Oh no, ockoala! You joined the Korean netizens love for Dal Bong! But he’s gone now :(. And prepare for more brooding unfortunately. I mean, there’s no way there isn’t going to be brooding. This episode showed exactly what I love about Shi Woo. He didn’t mention any names, so he genuinely didn’t mean for the blow up to occur. But despite that he knew he made a big blunder, what does he do? Does he go brood over it? Wastes time over thinking what he did wrong? Nah dawg. 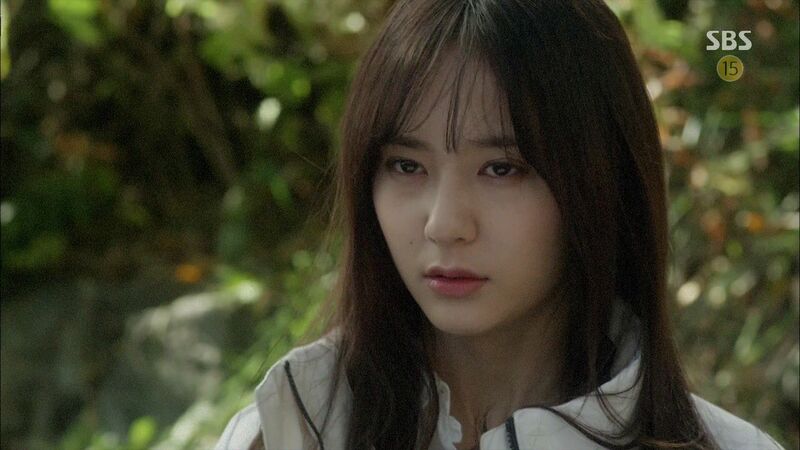 Se Na WOULD have been stuck in a rock and hard place, and feel pressured that she needs to accept his confession. 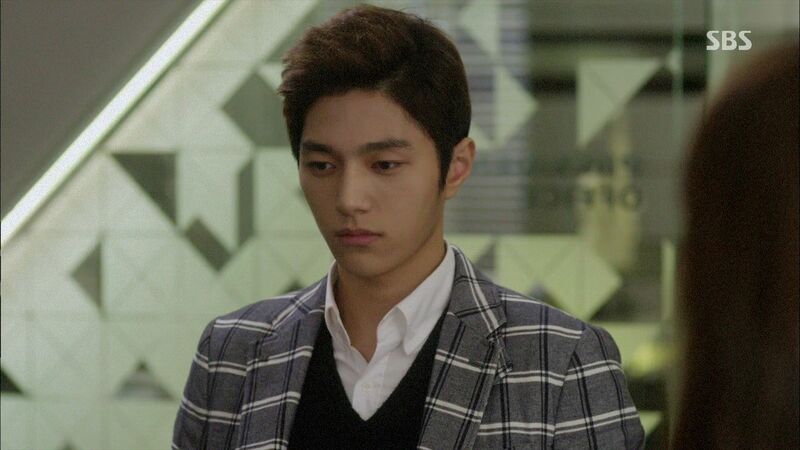 Yet Shi Woo immediately goes to talk to her, apologizes for how it went down, but he doesn’t take back his feelings. The point is he goes to confront her and talk it out. So Se Na doesn’t have to feel burdened and they can clear the air. Granted, it left on his request to think about his confession seriously, but she doesn’t have to be too concerned. Honestly, the whole scandal thing was pretty forced. It feels to me that they wanted some excuse to put it in, make it happen, and then bury it. I feel it was just there to put something extra and keep the drama dragging to its final episode to be honest. Just like Se Na supposedly leaving in Ep. 15 or whatever unnecessary wrench it was. I find it funny that Hyun Wook and Se Na getting back together went exactly how I thought it would, lol. Except for Dal Bong playing a part. I gave this drama too much credit when thinking they might cover Hyun Wook’s faults for the past episodes more thoroughly, not only explain what went on with him and So Eun. But it’s either that or we have to deal with more angst of separation. No thanks. And considering how I think Se Na is a fool and I really don’t care about her or the relationship anymore, they can do what they want to. It’s not like none of us saw it coming anyway. It’s just per the course. I’m just cruising by with the FF button, no thought, no expectation, barely any feeling, completing the drama, doing my part in seeing it through. Thank goodness the last Ep is tomorrow. I feel you. Same here. However romantically bitter sweet it’s supposed to be the moments Hyun Wook and Se Na shared together, I just don’t feel it. This drama tastes like flat soda that I’d not bother much to have a sip even there’s so much left over in the bottle. 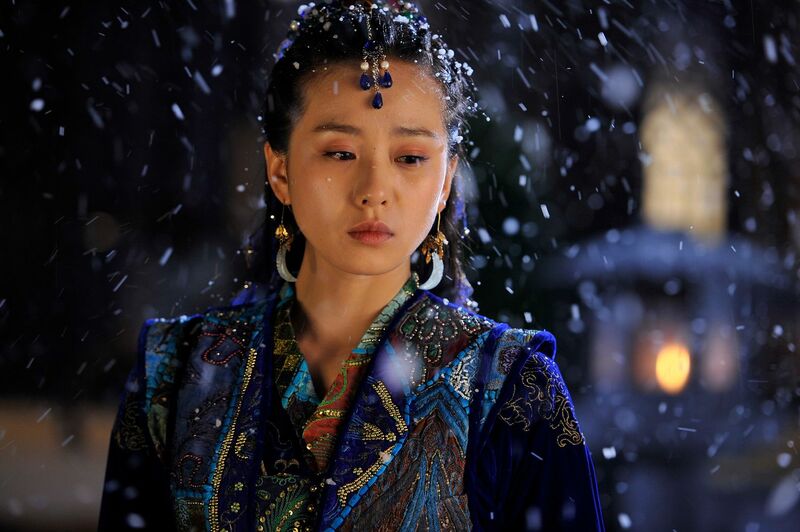 thanks for the recap of ep14… will u b recapping ep15 soon?? I gotta say, bravo to the writers for having the guts to kill off the lead character with 2 episodes to go. Very emotional and moving scenes, unlike 90% of the 13+ hours that preceded it. Dal Bong WAS the lead, wasn’t he? Is it bad that I have absolutely no feeling for this drama and even only occasionally read the recaps…but am bawling over Dal Bong’s death? Omg. Yeah agree with “MVP” title awarded to Dal Bong. 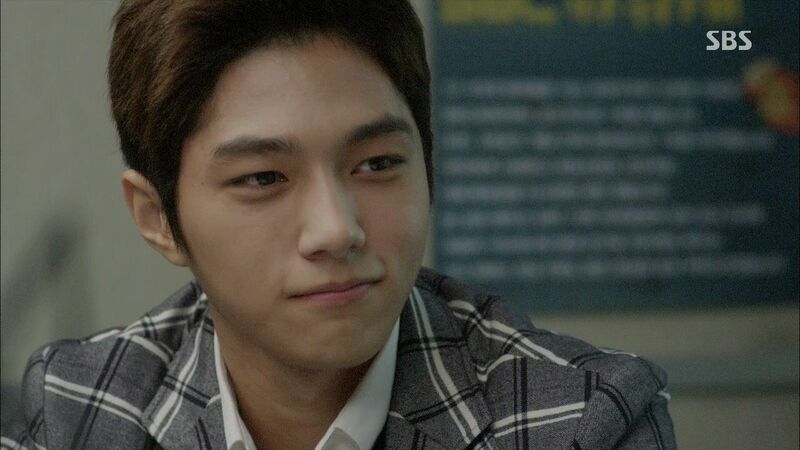 Shi Woo has been cute all the way in the drama. But Dal Bong was the lead actor whenever he’s on the scene. I dropped my comment first and then read other comments realizing that other viewers also agree with me Dal Bong steals the show from his master.